Providing businesses stay in sync with this upward trend, Metclouds has emerged to be a leading mobile application developer. We help clients concept their ideas and business goals into highly-functional mobile applications. Metclouds assure to meet all your mobile app requirements with utmost swiftness, delivering end-to-end customer solution. Redefining the entire experience for the Android Users, the applications are built with the finesse of cutting-edge technology and a customized touch. People can use iPhone app on their iPad. But when it matters your business growth, it is best you have a dedicated (and amazing) iPad App. Give Windows users a perfect experience that adds value to your brand and fuel to your goals. Get advanced Windows applications. Give wings to your SaaS ideas with a powerful and attractive looking Hybrid application! An app, designed and developed for success. Small in number – but still very relevant! If you’re targeting professionals who prioritize security atop, having a blackberry app for your business is a must. Woo the tablet users with a dedicated app that packs premium features, superior design and marvel in abundance. Yours are unique ideas and business. The requirements are distinct. Never settle for ‘fit-all’ solutions. Our custom app development is unlike any others’. 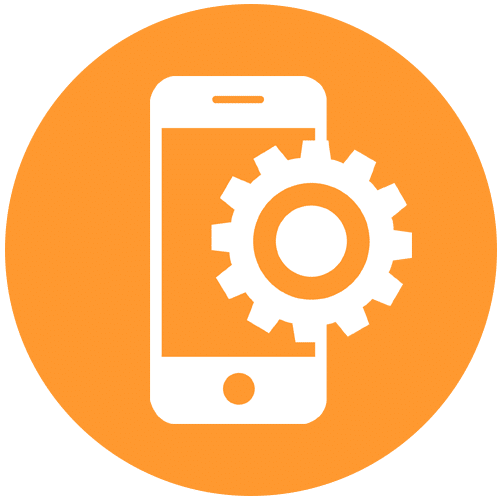 Maintaining and administrating a mobile app is just as taxing as developing it. So we do even these for you, along with offering 24/7 technical support. Metclouds employ some of the brightest minds who tout high qualification and experience. Challenge-loving, up-to-date and friendly, the team here is entirely customer-centric, striving to redefine the industry with the best practices. Our mobile app development service includes all the popular operating platforms. We make apps for Android, iPhone, Blackberry and Windows. Our engineers make sure your idea has success written all over it, lagging behind in no department. We focus on what you want and how we can help you reach the top of the mountain, quickly and cost-effectively. Our solution is completely end-to-end and custom. We work around your distinct need so that every piece falls right in your expectations. We offer the widest range of mobile app solutions under a single roof. And this is our biggest USP. We aim to provide clients not just a winning app but also a personalized experience with which they are satisfied 100 percent.